This is an automotive battle that the US actually wins. Land Rover loves to tout one fact about its cars that gets repeated time and time again. It claims that the first car seen by half the world was a Land Rover. We’re skeptical about that claim because it’s hard to verify that statement. 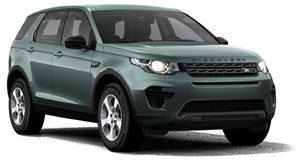 Besides, the world population has grown considerably since the Land Rover’s heyday and become more modernized to the point that cars are anything but rare. There is, however, another car that may not have been the first that half the world saw, but it left just as big of a mark. That would be the original Willys Jeep. Even though Russia can be credited for being the deciding factor in toppling the Nazi regime, the Willys Jeep left its mark on the world in a drastic way, spawning copies like the original Toyota Land Cruiser and turning seven grille slats flanked by two headlights into brand of the liberator. To this day, the Wrangler exists as the Willys’ spiritual successor, and thanks to this in-depth test conducted by Autocar, it once again proves its worth. So does the Land Rover Discovery, Toyota Land Cruiser Prado, Mercedes G-Class, Dacia Duster, and Isuzu D-Max for that matter, all of which go head to head against one another to see which is fastest around a makeshift off-road course. 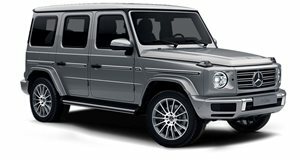 Strangely enough, it’s the simplistic Wrangler that steals the W despite fighting against the technology-laden Land Rover, expensive G-Class, and proven Land Cruiser. 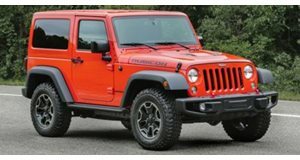 Sure, zipping around harsh terrain as fast as possible is not every off-roader’s forte, but that's why the Wrangler is the epic war machine it's known for being.